Lynn Nottage’s Sweat, which is currently making its New York premiere off-Broadway at the Public Theater, is heading to the Great White Way. Directed by Kate Whoriskey, tickets are now available for the production, which will begin previews on March 4, 2017 and officially open on March 26 at Studio 54. No word yet on casting, but the current Big Apple incarnation of the show stars Tony nominee Johanna Day (Proof) as Tracey, Younger favorite Miriam Shor as Jessie, Carlo Alban (Tamburlain) as Oscar, James Colby (Patriot’s Day) as Stan, Khris Davis (The Royale) as Chris, John Earl Jelks (Holler If Ya Hear Me) as Brucie, Will Pullen (An American Daughter) as Jason, Lance Coadie Williams (Shows for Days) as Evan and Michelle Wilson (A Raisin in the Sun) as Cynthia. The production will feature scenic design by John Lee Beatty, costume design by Jennifer Moeller, lighting design by Peter Kaczorowski, projection design by Jeff Sugg and original music and sound design by Rob Milburn and Michael Bodeen. Sweat is scheduled to shutter at the Public on December 18. 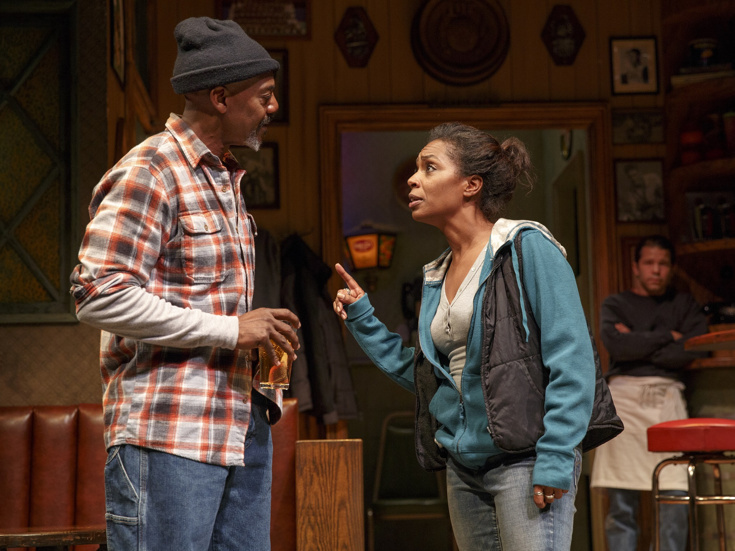 The play was co-commissioned by the Oregon Shakespeare Festival and D.C.’s Arena Stage. The play received its world premiere at OSF in July 2015 and subsequently played an acclaimed run at Arena Stage in January 2016.